Tipard Video Converter Ultimate offers an one-stop solution for any media downloading and converting tasks. You can convert any DVD to MP4, DVD to MKV, DVD to MOV, DVD to AVI, DVD to WMV and more, convert any 4K Ultra videos to 1080p HD video and other your needed format like MTS, TS, MP4, AVI, MOV, M4V, WMV, MKV, FLV and more. It has the ability to download online videos like YouTube videos/music and more. Tipard Video Converter Ultimate — download online videos & convert any DVD/video faster than you think. 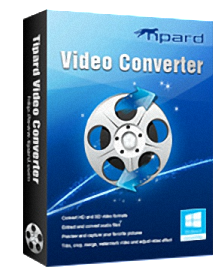 Tipard Video Converter Ultimate offers an one-stop solution for all media downloading and converting tasks. It is the best professional DVD/video converting tool that lets you easily download video and convert any DVD/video to iPad, iPhone and other mobile devices. 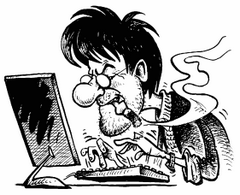 Do you want to download video from YouTube, Facebook, Vimeo and other online video websites? Do you want to convert video files to any popular video/audio formats so that you can watch them later on your mobile devices like iPhone, iPad and iPod touch. You can use Tipard Video Converter Ultimate to download videos from YouTube/Vimeo/Metacafe/Facebook/Dailymotion/Vevo/Yahoo and convert video to MP4, WMV, AVI, etc. Also you can extract audio track from video files and convert it to MP3, WAV, AAC and other audio formats as you like. If you want to rip and convert DVD to HD MP4, MKV, AVI, WMV, etc. for saving them on HDD, the Tipard DVD Ripper software is your best choice. It provides a wide range of video formats such as AVI, MOV, MP4, WMV, MKV, and others. Moreover, you can extract music or songs from DVDs and save them in your favorite audio formats including MP3, AAC, OGG, WAV, DTS, M4A, etc. Tipard Video Converter Ultimate lets you set 1080p HD formats as profile and convert DVD/video to various 3D formats so that you can watch your favorite movies with an immersed sense. The 3D profiles include MP4 Side by Side 3D Video (*.mp4), MP4 Top and Bottom 3D Video (*.mp4), MP4 Anaglyph 3D Video (*.mp4), MKV Side by Side 3D Video (*.mkv), MKV Top and Bottom 3D Video (*.mkv), MKV Anaglyph 3D Video (*.mkv), etc. This media conversion tool has a built-in video editor that allows you to cut your favorite video segments and merge them to a new one, remove black bars from a video, add text/image watermark to video, adjust the output video's Brightness, Contrast, Saturation, Hue and Volume until it meets your needs. With the intuitive interface, it's very easy to use. You can finish converting DVDs and videos with just three clicks. Also it supports batch conversion so that you can convert multiple files at a time. Capture your favorite video images when previewing the video, movie and then save them on your local disc as JPEG, PNG, and BMP format. You are allowed to select the preferred audio track and subtitle if your video has more than one, or choose no subtitle according to your needs. Size: 40,06 / 42,60 MB.